Welcome to week 16 of the series! If you made it to this point then you can give yourself a huge pat on the back. This is the week that you make a very important decision. 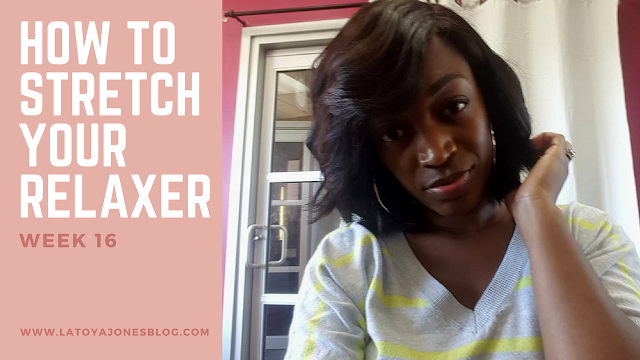 You can decide to go ahead and get your relaxer, or you can choose to continue your stretch. You should have right at or very close to two inches of new growth at this point and if that is the case you can rest assured that you can safely get a relaxer touch up without any overlapping of previously relaxed hair. What does that mean? Basically you can get your touch up without worrying about damaging your hair! And THAT is fantastic. If you continue and keep up the good work, then you are well on your way to having healthy, RELAXED, hair. Your relaxed hair will begin to be thick from the root to the tip instead of looking thin on the ends and thick at the root. 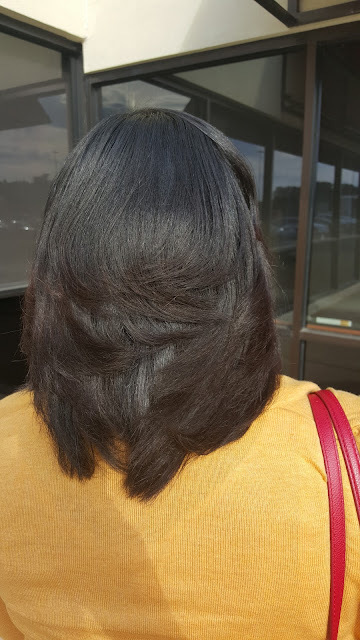 This picture is not my hair but it is a client of mine who has relaxed hair and is also stretching. This is just proof that it is very much possible to have healthy hair that is relaxed and is thick from the root all the way to the ends. If the both of us can achieve having healthy, relaxed hair then what is stopping you? ?